I was taking a much needed shut eye while daddy was in the kitchen cooking. I woke up in time to see him bring the pork chop out from the oven. 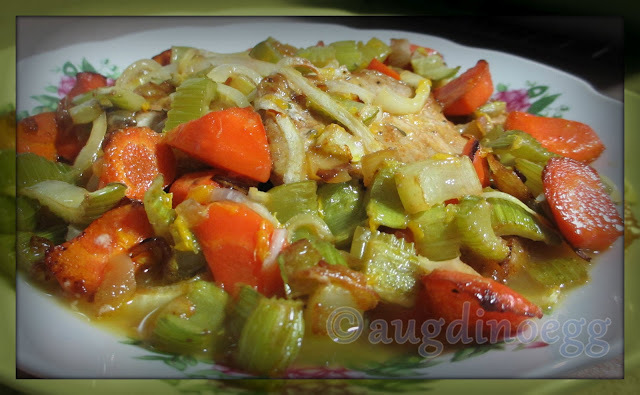 This is daddy's personal recipe, he got the inspiration from 1 of my recipe book. 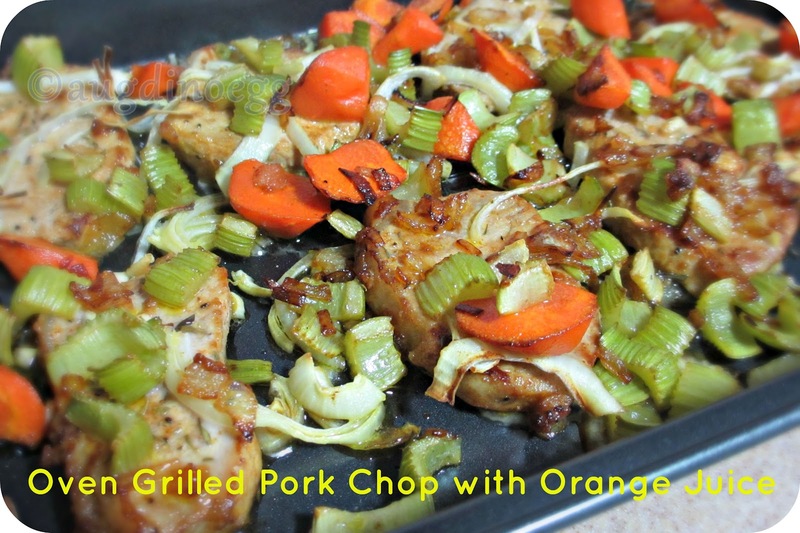 It a very appetizing dish coz the orange juice is sour and sweet, mix it with the sweetness from the carrots & celery plus the crunchy onions together with the grilled pork chop, makes me want to have more. We eat this with plain white rice with seafood soup. A very satisfying meal!